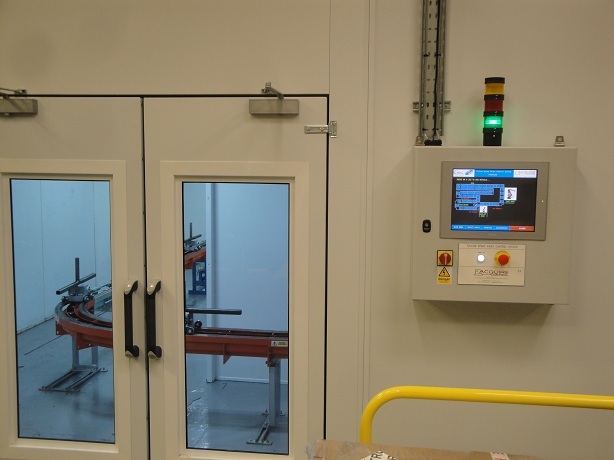 We have successfully completed a Robotic Spray Painting system that we designed, manufactured and installed for an automotive parts spray paint finisher based in the North West of England. The Control System uses an RFID Tag System, CC-Link Robot communications as well as Ethernet PLC to HMI communications to ensure that batches of parts are correctly painted as required for the end customer, a prestigious supplier of luxury cars and 4×4 vehicles. The Robotic Spray Painting system had to be ultra reliable, easy to operate and flexible enough to cope with the future new part types and different colour combinations that are anticipated, and by working closely with our customer we ensured that these were achieved at the first time of asking, allowing full production to start and continue without disruption. 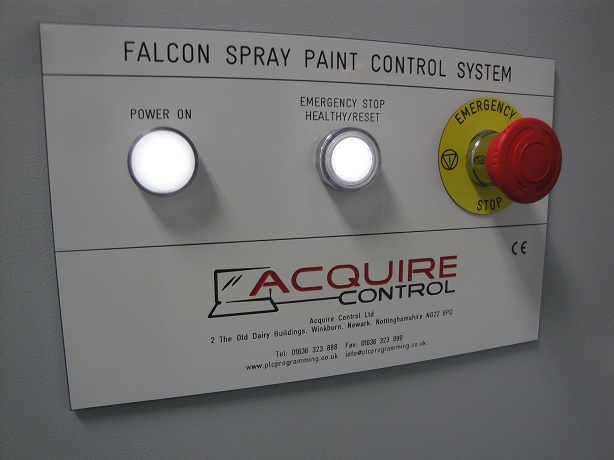 The Robotic Spray Painting system that we supplied consisted of two separate control panels, one being a floor standing enclosure located in the main controls room and the other being a wall mounted cabinet located near to the load and unload area allowing the operators real time ‘local’ information on the part types in production. 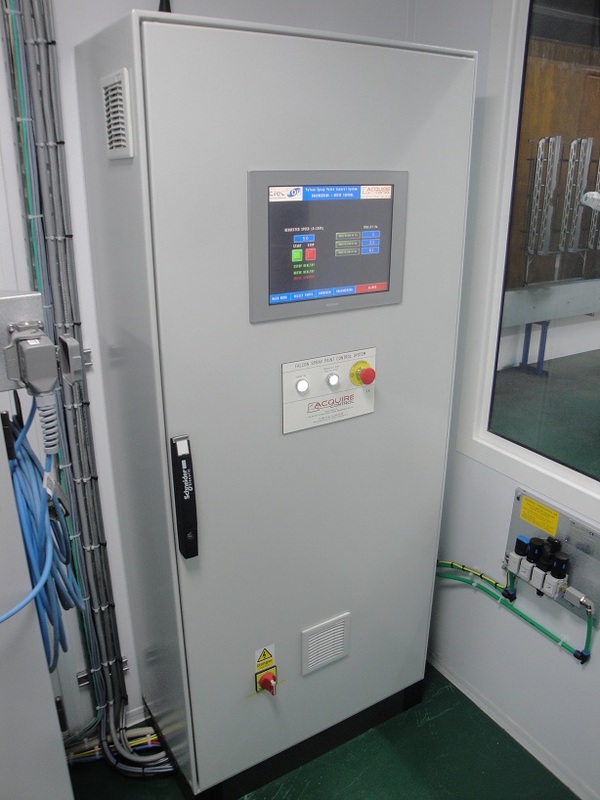 Each controls panel contained a 15” Proface AGP-3750T HMI display connected via Ethernet to the Mitsubishi Q02CPU Q Series PLC located in the main controls panel. 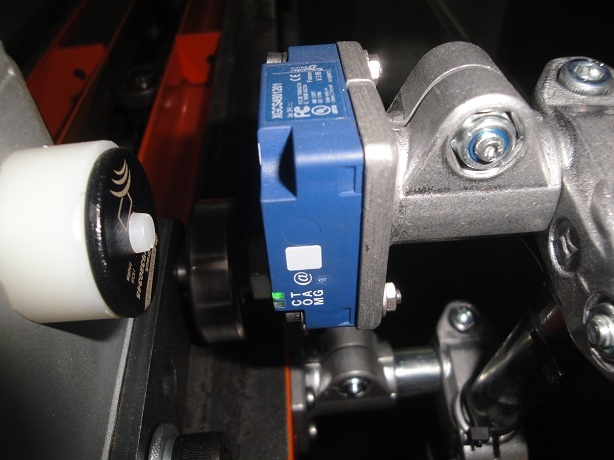 A Telemecanique Ositrack RFID Tag System which uses the Modbus TCP/IP communications protocol allowed parts to be tracked and updated around the conveyor system, whilst CC-Link communications handled the Spray Paint Robot Communications passing details such as part type, process and colour ensuring that the parts are spray painted correctly. 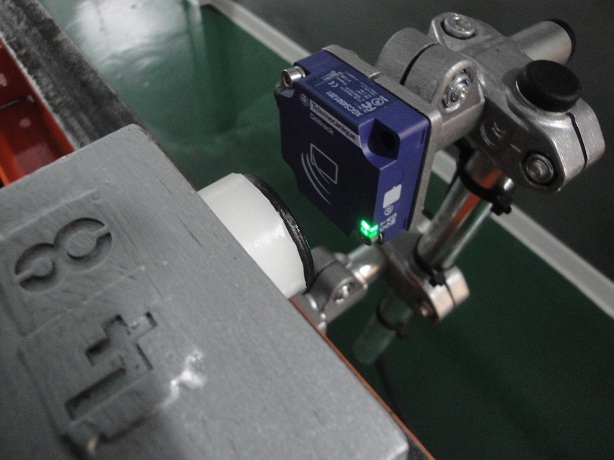 An additional ‘air blast’ or ‘blow off’ robot was used to clean parts prior to treatment which was controlled via direct I/O from the PLC. 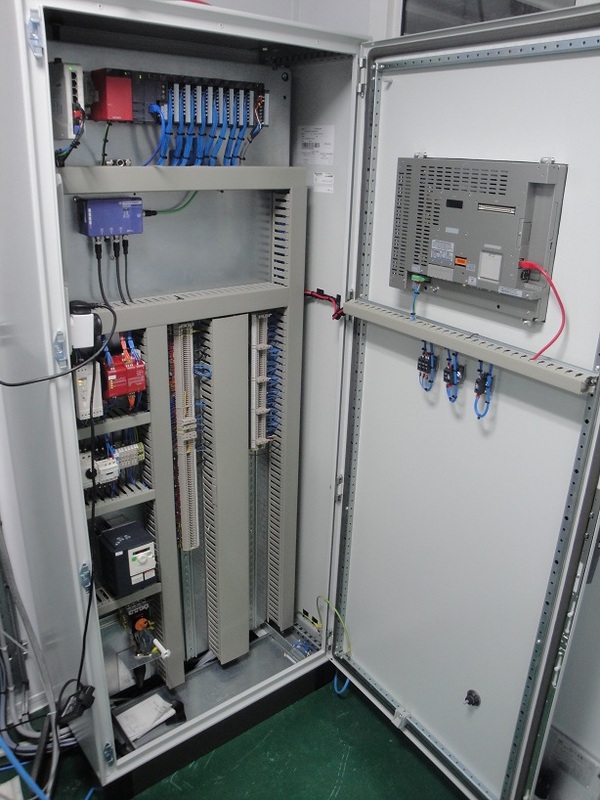 We shipped the control panels to site and provided full electrical installation during a pre-arranged shutdown period. 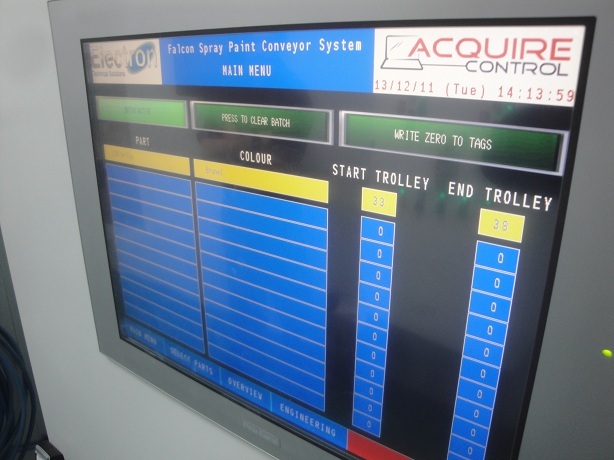 Full system commissioning was successfully achieved whilst working closely with the customer and ABB, the supplier of the spray paint robot. Finally we supplied full alarm monitoring and data logging to the customer’s specification so as to keep an accurate log of the part types and batches that the system produced as well as in depth operator training. It’s been a thoroughly enjoyable project to have been involved with and I feel it perfectly demonstrates our ability to supply complete projects from the conception and design stage right through to full system handover. Please remember to contact us today for some friendly advice on your specific control requirements, whatever they may be, including a Robotic Spray Painting System or any other types of automotive Control Systems.